The first map copied using stereotype was the Tabula Hungariae. Also, this was the first work of the press in Ingolstadt. The visual display and the style of the markings both support the presumption that this map was printed in Ingolstadt, and its appearance was dictated by the carver(s) working on it and Petrus Apianus. As we know today, there were two more maps printed in Apianus’ press using printing blocks. Right after the Tabula Hungariae, a map showing the two travels of Saint Paul was carved, which only partially survived. Its size is 56 x 79 cm, but it is presumed to be 56 x 98 cm with commentaries. 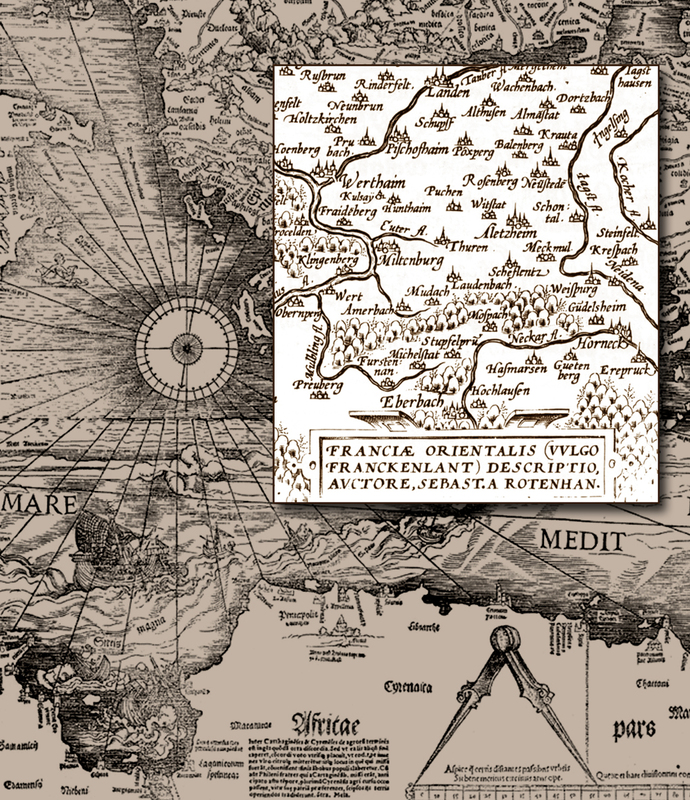 The other map copied using four printing blocks was Sebastian von Rotenhan’s map, titled ‘Das Franckten Land’, printed in 1533, with the size 59.5 x 57 cm. Of this map, only a reduced copy is known, in Abraham Ortelius’ atlas titled ‘Theatrum Obris Terrarum’.